"On one level, it interests me that the motif of waking up is itself actually pervasive throughout the Christian spiritual tradition." 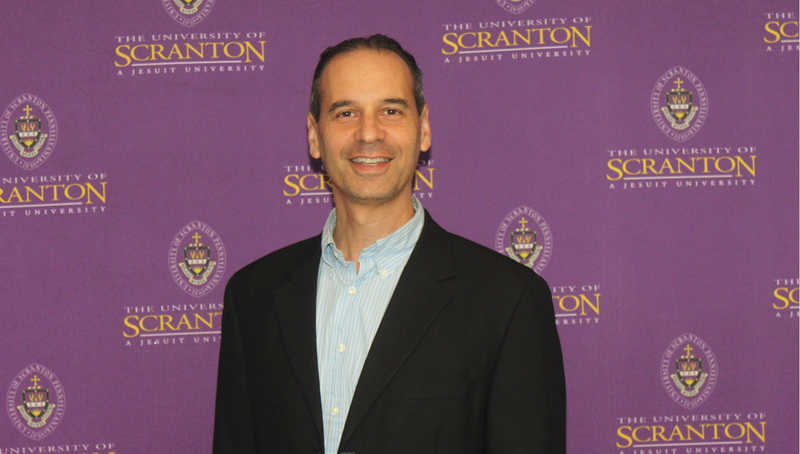 Will Cohen, Ph.D., associate professor in the Theology/Religious Studies Department, recently presented to his fellow faculty members about his research on St. Oscar Romero at the Faculty Research Seminar Series. His talk was titled "Political Wokeness and Christian Witness in the Life and Legacy of St. Oscar Romero." Royal News talked to him a little about his research. RN: Tell us a little about your presentation – is this research you have previously published? Or are you seeking to publish? WC: I published an article in a journal called Theological Studies a couple of years ago on Oscar Romero, but this presentation takes that previous research in a somewhat different direction. I would envision publishing an article in the next year or two on the basis of the further research I’ve been doing. RN: Can you tell us about this research? WC: Because Romero spoke out strongly against economic injustice, fraudulent elections and increasingly repressive government policies when he served as archbishop of San Salvador in the late 1970s, and because, prior to becoming archbishop, he had not been so outspoken and indeed had even publicly expressed concern about priests and lay leaders he had considered too political, his biographers have often spoken of Romero as having undergone a “conversion”. As they portray it, he went from being someone who had embraced an almost quietistic spirituality of personal asceticism and prayer to being someone highly alert to how the Gospel demands of us that we act in solidarity with the vulnerable, by trying to undo sinful and oppressive structures. The conversion narrative in Romero’s case has seemed to me to resonate with the idea of becoming “woke” in the sense we often hear it used today. On one level, it interests me that the motif of waking up is itself actually pervasive throughout the Christian spiritual tradition. For example in the Canon of St. Andrew of Crete, sung liturgically every Lent in my own Eastern Orthodox tradition, a recurring refrain is “O my soul, why are you sleeping?” The emphasis here is on an interior awakening to one’s own propensity to sin and the reality of God’s judgment. In Romero’s case, there’s an even stronger connection to the idea of becoming more woke because he stopped buying the government’s Kool-Aid, so to speak, that the only enemy of Christianity in El Salvador was Marxist ideology. He believed that the oligarchs themselves, though purporting to be the guardians of Catholic culture and tradition, were actually warping the Christian message by how unwilling they were to give up worldly advantages to bring about a more just society. RN: Tell us what "woke" means. WC: The term "woke" emerges from African-American culture and discourse and in its original significance means becoming more aware of how badly the system is rigged against African-Americans, but it has been exported into a lot of other contexts. The question of cultural appropriation was, therefore, something I felt it was important to raise. I tried to think through this concept specifically in terms of the global Church, on the one hand, constituted by particular churches each rooted in a local culture which must be honored and preserved, but on the other hand trans-cultural, in the sense that the faith is one across all the various linguistic and ethnic markers, and so there is the possibility of understanding one another and identifying our shared humanity across our differences, even though this takes effort and charity. Another couple of points emerged as important in my research... One is that the claim, often made, that Romero went from being one kind of Christian to being another kind of Christian seems to me to be overstated. He certainly did wake up to more and more of the injustices all around him, which were also worsening by the day when he became archbishop, but he himself was hesitant to describe what he went through as a “conversion”; he saw it more as an evolution demanded by circumstances. "He is a light for our time, if we would receive it." A second point is that where Romero drew strength and courage to help reorient the Church in El Salvador – from being safely aligned with the ruling elite to living out a preferential option for the poor and sharing in the poor’s vulnerability – was from the writings and personal encounters he had with popes, as well as from councils like Vatican II and the Latin American bishops’ conference at Medellín. In other words, he leaned on the Church and her official teachings. His chosen episcopal motto, taken from the Ignatian Exercises, which he knew well, was “Sentir con la Iglesia” -- to think with the Church. Romero stood very strongly against false interpretations of the faith and idolatrous distortions of the Church, but he never became “woke” to the faith itself nor to the Church herself, not if to be “woke” is to see through something as if it were just an opiate, a big lie altogether. Romero had a tremendous child-like faith not just in a transcendent God but also in a real and living Church. I am interested in how Romero's Christian witness and political wokeness went together, and how he relied on the Church to enable him to lead the Salvadoran Church in a more authentic direction. RN: Why is this all so relevant now? WC: We live in a time where everyone prides himself or herself on being distrustful – especially of the narratives peddled by our political opponents. It is good to be suspicious of party lines, but we tend not to distrust our own party’s lines, only the other’s. Romero’s commitment to the Gospel above all else enabled him to be “woke” to whatever was not in alignment with it; this commitment gave him a remarkable freedom to be able to engage political issues with wisdom and clarity and not allow the faith to be co-opted by politics. In this sense, he is a light for our time, if we would receive it.